Amazon's third annual Prime Day is Tuesday, but just like Black Friday, things get started early. Sales available exclusively to Prime Members in 13 countries get started tonight. Meanwhile, other retailers aren't just standing idly by. Toys R Us has announced all customers -- and its press releases emphasizes "all customers" -- will get 20% off the list price when they order online over a 36-hour period. The sale, at Toysrus.com and Babiesrus.com, coincidentally, starts at 6pm ET tonight, three hours earlier than Prime Day, on thousands of products. Walmart is not running any special promotion designed to go head-to-head with Prime Day, but its website is promoting a big sale on electronics, with savings of up to $30 on Google products. The same is true for Best Buy, which is simply running its normal weekly specials on its website, including $150 off on an LG 55-inch 4K Ultra HD television set. Meanwhile, Amazon has taken the wraps off some of its featured Prime Day deals. On Amazon products, you can save 50% on an Amazon Echo and get $15 off the smaller Amazon Dot. Deals on TV sets include the newly released Element 55-inch 4K Ultra HD smart LED TV for $399.99; 25% off select TCL smart TVs, starting at $119.99 for a 28-inch model; $99 for a 32-inch 720p TCL TV; and a 40-inch 1080p TCL TV, for $199.99. 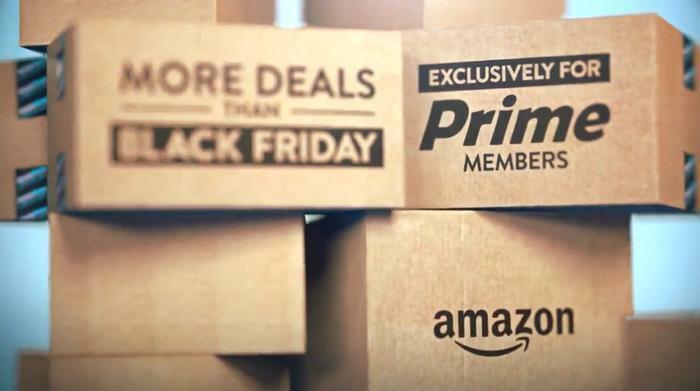 The deals are only available to consumers who are members of Amazon Prime. The company says last year's Prime Day was its biggest single sales day ever, eclipsing Cyber Monday.